There are new homes in 6 developments found within 30 miles of Suffolk with houses and apartments also available. 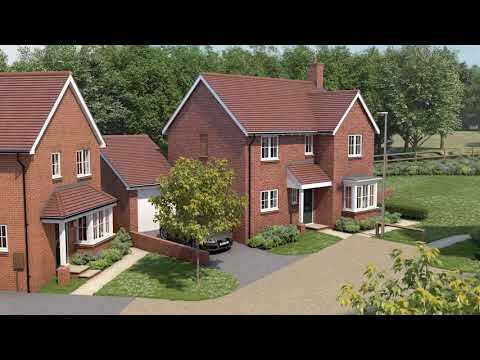 Introducing St John’s Mead, an exclusive new development of 2-4 bedroom houses coming soon to Elmswell. Crest Nicholson’s The Burrows is a charming new development of 2-4 bedroom houses set in the sought-after village of Earls Colne. Introducing Fernham Green, an exceptional collection of 2 & 3 bedroom cottages and 4 bedroom family homes set in the heart of Kings Warren. Introducing The Village Square, the latest collection of traditionally-inspired 2 & 3 bedroom homes to take their place in Crest Nicholson’s sought-after Kings Warren community. Introducing Nine Acres, a beautiful new development of 1 & 2 bedroom apartments and 3, 4 & 5 bedroom homes nestled within the desirable village of Tiptree. Set in the stunning Essex countryside, Notley Grange is a beautiful collection of cottages and houses, in the sought-after location of Black Notley.